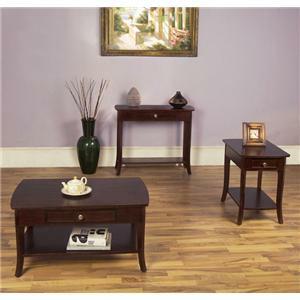 The sleek design and functionality of this three piece occasional set make it a great fit for any living room. The dark Espresso finish creates a look that is soothing and pleasing that is illustrated through the contemporary design of the tables. Each table features one drawer and a shelf, providing functionality in addition to beauty, making this table collection a great addition to your home. 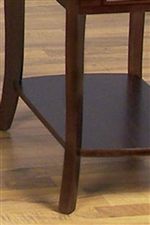 The 5010 Table Group 3 Piece Occasional Table Set by Null Furniture at Stuckey Furniture in the Mt. Pleasant and Stuckey, South Carolina area. Product availability may vary. Contact us for the most current availability on this product.